We’ve already covered the massive line-up of games Microsoft announced at E3. In this post, we’ll cover the all-new Xbox Dashboard, Live TV, YouTube and Bing integration. 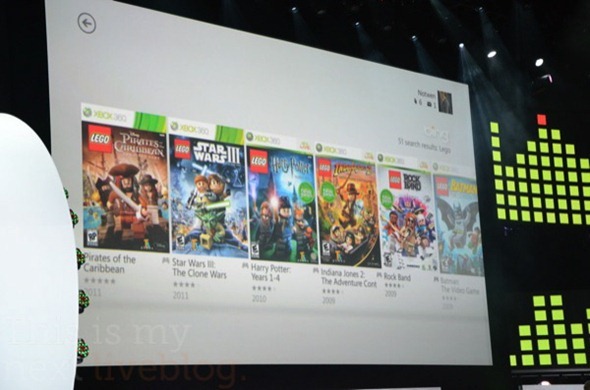 We’ve been seeing annual upgrades to Xbox 360’s dashboard for the past three years. This year’s upgrade is based on Windows Phone 7’s beautiful “Metro” theme with tiles, smooth transitions, lowercase text and it. looks. stunning. The new experience comes with even better core Kinect integration so you can utter voice commands to make the Xbox do your bidding. So, for example speaking “Xbox, games!” will take you straight to the games menu, “Xbox, music!” will take you to the music menu and so on and so forth. The idea is to do away with controllers and focus on voice alone. You can now watch Live TV on Xbox. This doesn’t have as many channels as your cable or satellite connection, but it will be there some day. For the Fall release of the new Xbox dashboard, you’ll get live streaming television from networks like Canal+, Sky TV and Foxtel. More content partnerships will come as time passes. Besides this, YouTube will also come to Xbox so you can browse YouTube’s virtually unlimited supply of video on your Xbox-connected TV. The biggest inclusion though, we believe, is Bing. This is not a half-baked feature. Bing for Xbox is brought up by speaking, “Xbox, bing!”. Once the Bing menu is brought up – eye catching image of the day and all – you can use it search not only your Xbox but services like Netflix, Hulu Plus, Video marketplace and other as-of-yet unspecified content providers. 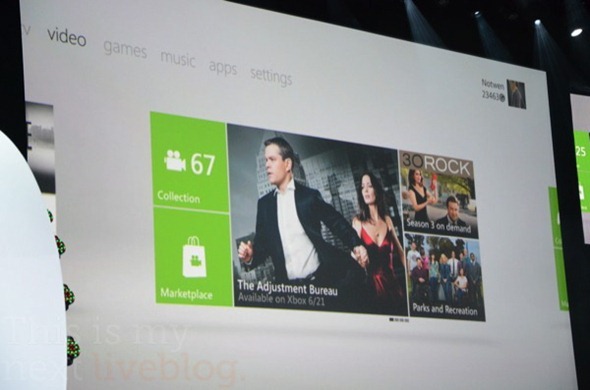 While this wasn’t announced on stage, WinRumors reports that Microsoft included an image in the press kit which showed a new hub on Xbox 360 for “apps”, perhaps pointing towards a possible Silverlight based Marketplace coming to Xbox experience soon.